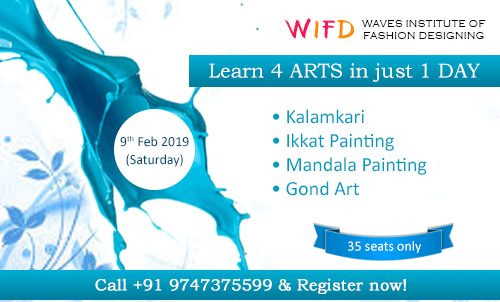 We are happy to inform that we are conducting a 1 Day Painting Workshop on Kalamkari, Ikkat, Mandala Art & Gond Art on 09th February 2019 (Saturday). There are only limited number of seats available for the workshop. & reserve your seats today! Kalamkari is a type of hand-painted or block-printed cotton textile, produced in Indian states of Andhra Pradesh and Telangana. Ikkat is a dyeing technique used to pattern textiles that employs resist dyeing on the yarns prior to dyeing and weaving the fabric. 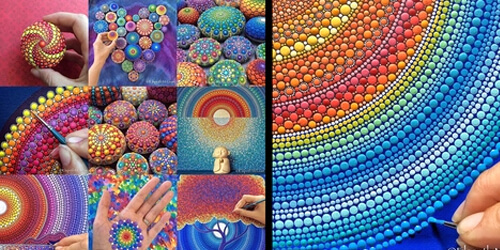 In common use, "mandala" has become a generic term for any diagram, chart or geometric pattern that represents the cosmos metaphysically or symbolically; a microcosm of the universe. The basic form of most mandalas is a square with four gates containing a circle with a center point. 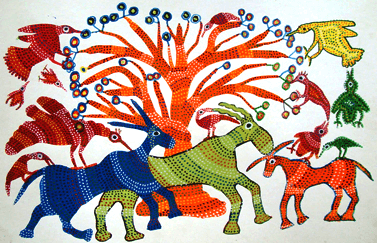 The word Gond comes from Kond, which means green mountains in the dravidian idiom. ©Waves Institute of Fashion Designing 2018. All Rights Reserved.